The launch into parenthood doesn’t have to mean the end of travel — for some, it’s a lifelong passion and for others, a necessity. Either way, why not give the traveling mom in your life something to help make leaving home a little easier? Here are 10 Mother’s Day gift ideas that are perfect for jet-setting moms. Moms have enough things to juggle when they’re on the go. They shouldn’t have to worry about losing their keys, too. Attach this small Tile to your keyring, bag, camera — whatever — and easily track it from your smartphone. 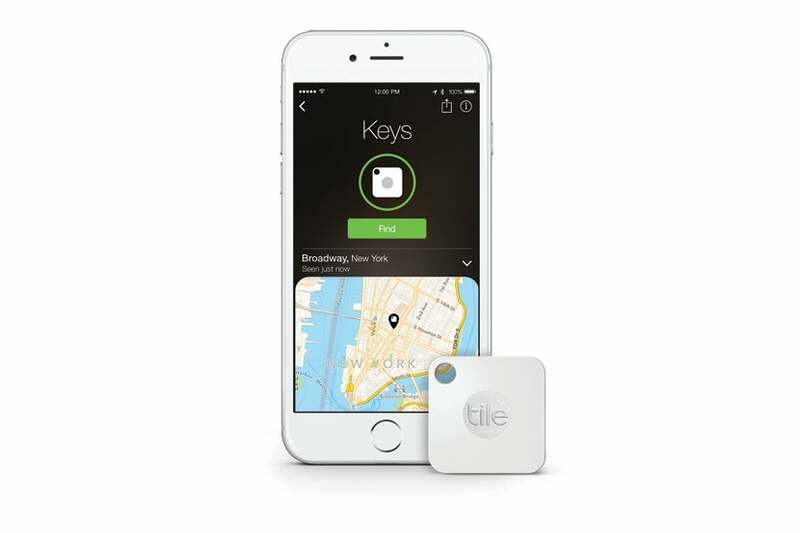 Lose it, and you can see where it last connected to your phone via Bluetooth, or if the Tile is nearby, tell it to sound an alarm so you can easily find it. A thinner version is also available that can be used in smaller spaces, like your wallet. From $24. This device is like a homing beacon for your keys, camera and anything else you attach it to. Image courtesy of Tile Inc. Imagine your mom is on a trip and collects all kinds of fabulous things — only to run out of space in her bag on the way home. Enter the foldable tote. 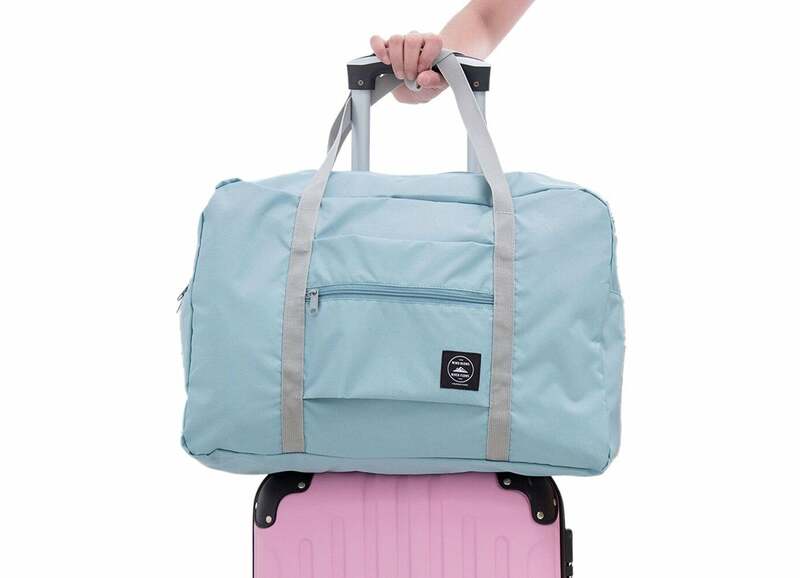 It’s durable, waterproof, can slide onto a rolling suitcase and takes up almost no space when folded up, making it a great stowaway back-up bag. From $12. This foldable tote is a great spare bag to bring along on trips. Image courtesy of Betterman Inc. Your mom will never have to overpay for airport water or lug around a clunky Nalgene again. This collapsible bottle comes in two sizes — 21 ounces and 12 ounces — as well as a variety of colors, and is made from food-grade, dishwasher-safe silicone. 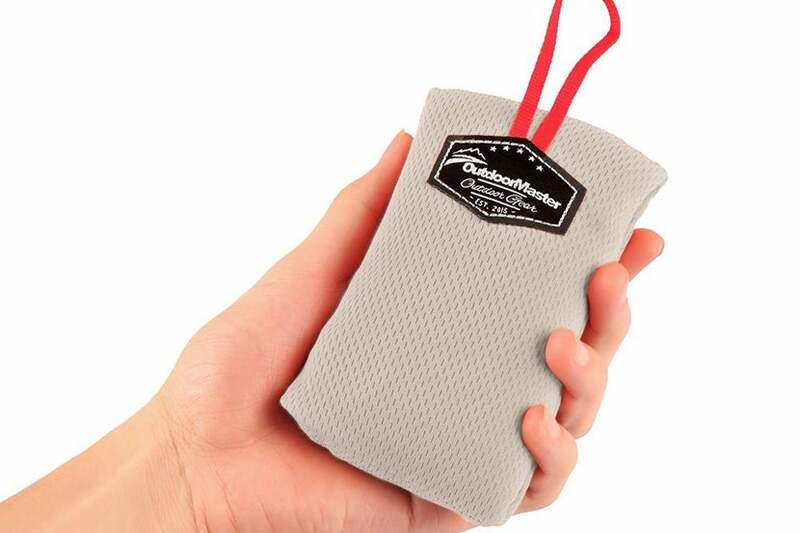 When collapsed down, it fits in the palm of your hand, in a pocket or attached to your bag with a carabiner. From $19. 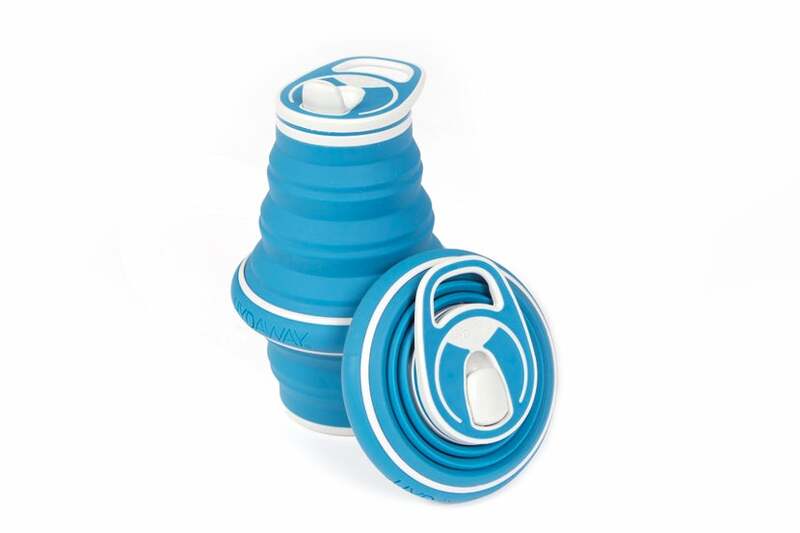 This collapsible water bottle flattens to fit inside a pocket. Image courtesy of Hydaway. In addition to being lightweight and easy to pack, this outdoor ground blanket is water resistant, puncture resistant and even has weighted corners — great for Moms who enjoy camping, hiking or picnics on the beach. It comes in three different sizes, ranging from roughly three feet to nearly seven feet long and folds up into a tiny, portable pouch. From $12. This full-size blanket folds up small enough to fit in your pocket. Image courtesy of OutdoorMaster. We’ve all been there. You’re in a hurry to catch your flight and forget to charge your phone — only to find all the available outlets and charging stations occupied at the gate. Mini portable chargers like this one from Jackery can help ensure Mom’s phone or tablet always has enough power to get her to her destination. From $12. This portable charger is about the size of a tube of lipstick. Image courtesy of Amazon. Traditional health trackers have come a long way from the days of not-so-attractive, plastic pedometers. Now, moms can track their steps wearing something that’s both functional and stylish. These Bellabeat trackers, for example, can be worn as a necklace, bracelet or clipped to clothing. The simple, elegant design makes it easier to wear with dressier clothing than standard wristband trackers, yet it can still be worn with casual clothes or while working out. From $119. 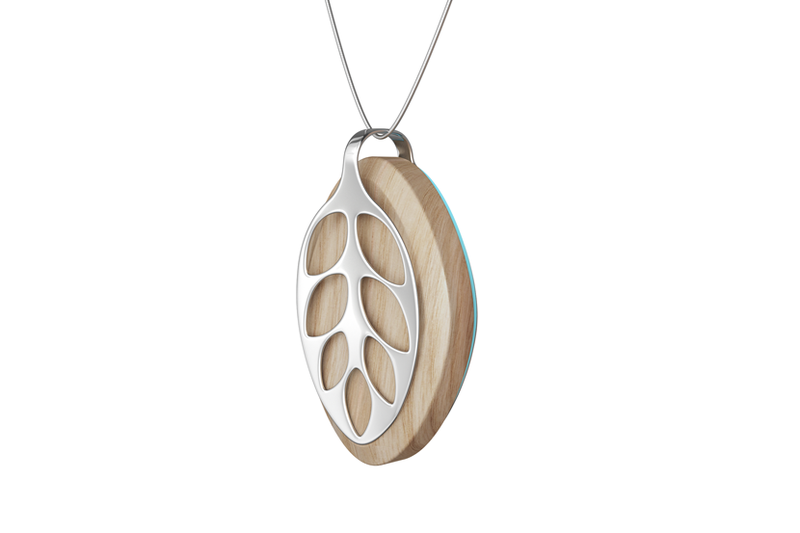 This fitness tracker adds a little style to your health data. Image courtesy of Bellabeat. Camera straps are a necessity for any on-the-go photographer, but they don’t have to be bland. 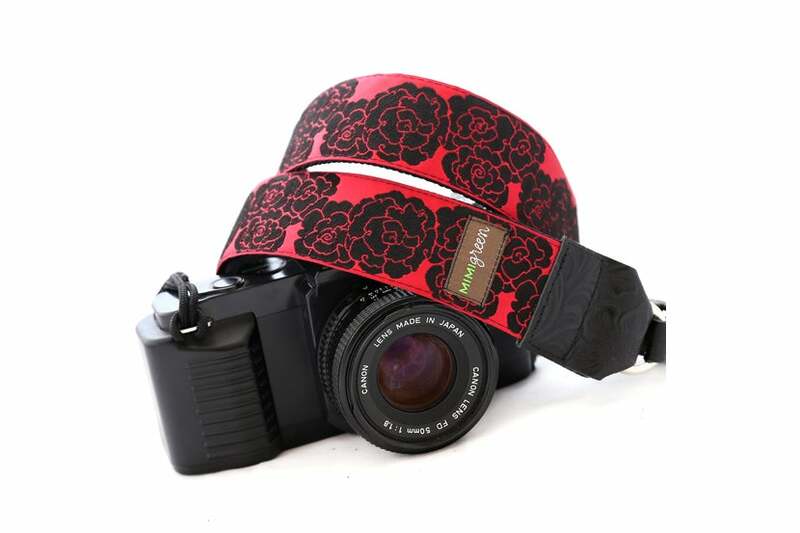 Designer camera straps like the ones sold by Mimi Green or Eggsnow come in a variety of patterns and styles and provide a much-needed upgrade from the standard-issue straps that typically come with digital cameras. Mimi Green, from $34; Eggsnow, from $11. The only thing more attractive than your mom’s photos will be the camera she takes them with. Image courtesy of Amanda Jackson-Miller. No one wants their nice clothes to smell like their gym shoes, but all too often both need to be crammed into a single suitcase. 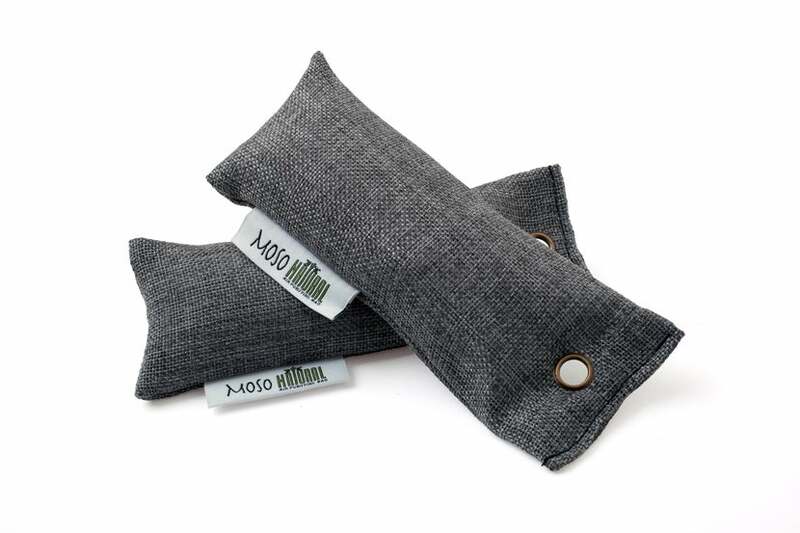 These air purifying bags are a perfect solution. Mom can use these inside her luggage to capture and contain odors without using smelly perfumes or sprays. Best of all, the bags are reusable for up to two years. Just put them outside in the sun for an hour between uses and they’re good to go — no washing machine or refills necessary. From $9. Mom can keep her clothes smelling fresh while traveling with these odor-absorbing bags. Image courtesy of Moso Natural. Neck pillows are awesome if you have the space to pack them, but they’re often awkward and bulky to carry around. 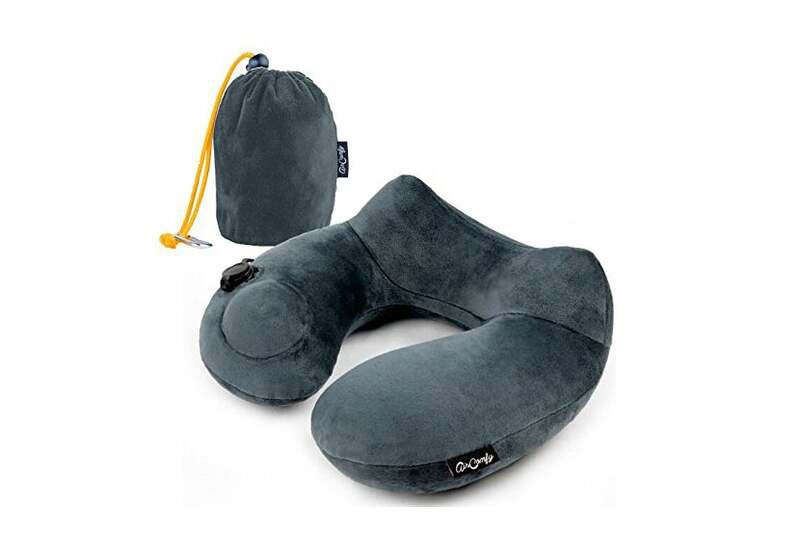 That’s why inflatable neck pillows are so handy — when not in use, they shrink down into a small pouch that’s easy to store and out of the way. Bonus: This pillow from AirComfy inflates with just a push of a button, allowing mom to easily choose how firm or how soft it is. From $23. Your mom’s neck pillow deserves an upgrade. Image courtesy of AirComfy. With this keychain, Mom can keep her headphones or charging cords untangled and within easy reach. The cords wrap snuggly around a small piece of leather and then attach to keys or a bag. The wrap comes in a variety of colors and is handmade from genuine leather, making it both an attractive and useful accessory. From $8. Who knew cord storage could be so stylish? Image courtesy of Hide & Drink. What travel-related gifts will you be giving Mom this year? Sound off, below. Featured image courtesy of Tang Ming Tung via Getty Images.